So I’m a day late. Sorry. I woke up late yesterday. That’s the honest truth. We left off discussing the effect that parents can have on the emotional expression of their children. And the influence is unquestionable and a little frightening. Today I’m going to share the “The Seven A’s of Healing” – one of the final chapters of Maté’s book. While I’d love to share all of the A’s, I really want you to read this book. So I’ve decided to share three. Seriously, you should really read this book. 1. Acceptance. 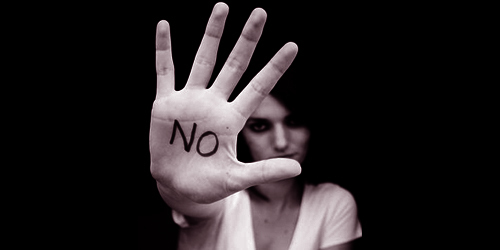 oftentimes when we’re unable to say no to something or someone, we beat ourselves up. I do. Sometimes I just don’t want to go for dinner, or chat on the phone, but I do. And then I spend time judging myself for doing something I didn’t want to do. Maté encourages us to have compassionate curiosity about the self which “doesn’t mean liking everything we find out about ourselves, only that we look at ourselves with the same non-judgmental acceptance we would wish to accord someone else who suffered and who needed help”. A big part of my journey towards acceptance is mindfulness meditation which I’ve posted on a few times. Click here and here for more information on the practice. 2. Anger. “Not only does the repression of anger predispose to disease but the experience of anger has been shown to promote healing or, at least, to prolong survival.” Maté reiterates that each of the interviewees featured in the book acknowledged having difficulty around communicating anger. But he then points out that each person, when a child, had a parent who had outbursts of anger which led to the repression of their own emotion. “On the surface it seems like a paradox. If the expression of anger is ‘good,’ Magda’s (an interviewee) father and the father of Jimmy (interviewee) and Donna (interviewee) were only acting in a healthy fashion. Yet the effect of their anger was corrosive to their children’s self-concept and health.” Furthermore, he points out the relationship between anger and increased risk for heart attack. Maté states, “the repression of anger and the unregulated acting out of it are both examples of the abnormal release of emotions that is at the root of disease”. Outward bursts of rage or silent, seething, repressed anger are both unhealthy ways to express emotion and can therefore, have long-term psychological and physiological consequences. In talking to a physician about this very conundrum, Maté was told that “both repression and rage represent a fear of the genuine experience of anger…that the real of experience of anger is ‘physiologic experience without acting out. The experience is one of a surge of power going through the system, along with a mobilization to attack”. So how can you tell the difference between rage and anger? Rage is anxiety-laden. Anger, it seems, is not. It seems we have become confused with the definition over the years, muddling the two. According to Maté, anger does not require hostile acting out. It is a physiological experience with cognitive value. The ability to experience it and review the sensations associated with it, allow one to better understand what is going on and why. After review, the person can determine what it is they wish to do, if anything. It should not invade other peoples boundaries. All in all, it’s important to understand the difference between rage and anger and that anger is considerably more healthy than the other. 3. Attachment. It is important to let people in. Perhaps it is sometimes easier to feel bitterness and rage rather than the “aching desire for contact that, when disappointed, originally engendered the anger”. I can speak from experience, from being bullied, it is much easier to shut down, close people off, push them away than to put yourself out there. Being vulnerable is extremely unnerving, but in order to heal, “we need to regain the vulnerability that made us shut down emotionally in the first place”. This is a difficult one to accept. Maté has a beautiful way of writing. He’s gentle, but firm. He’s compassionate, but often brutally honest. Best of all, he’s an incredible storyteller. Don’t be put off by the use of scientific literature, he interweaves it so perfectly with each case study you barely notice. I recommend this book to anyone and everyone. Regardless of whether you’re experiencing a chronic condition, know someone that is, or experienced a difficult childhood (or a positive one for that matter), you should take time to read this book. While eye-opening and perhaps stress-inducing at times, it made me further appreciate the complexity of our body and the need to respect and care for such a complex system. We all sometimes question the need for self-care. Many state it’s such a soft, wussy word. Soft, maybe. Wussy, no. It takes courage to take care of yourself. It takes courage to say ‘ no’. It takes courage to make time in your calendar for you when so many other needs and wants are present. It takes courage to put yourself first. Why? Because people judge, gossip, aim to make you feel guilty for your choice to choose yourself. But you shouldn’t. If you don’t take care of you, you may not be there in full form to spend time with others, to help, to be present, to live a long and healthful life. No one is going to take care of you like you can, if you make the choice to. You’re health is your choice. You can choose to say yes or no. You need to make the call that’s right for you and believe me, that’s a tough task. But if you do make the choice, the choice right for you, I commend you. You’re one courageous soul and we need more of you if we want any semblance of health in this world. Happy reading, thinking, and decision-making.